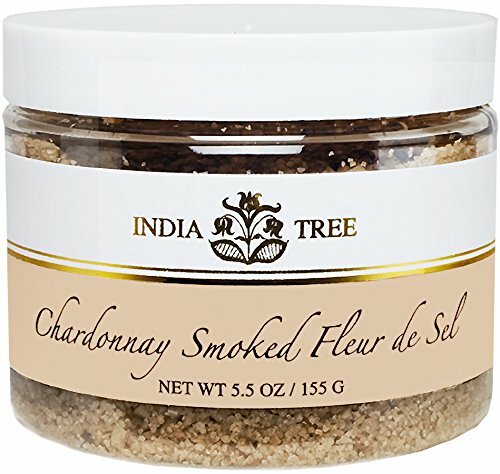 INDIA TREE Chardonnay Smoked Fleur de Sel is the crème de la crème of smoked salts. Moist crystals of Fleur de Sel are cool-smoked over oak barrels once used to age fine chardonnay. Chardonnay Smoked Fleur de Sel lends a whisper of smoke, a hint of chardonnay, and a soft saltiness to mild Asian greens. Combine with green garlic and pinch of red chile flakes to season baby bok choy; sprinkle over wilted baby leeks just before serving; use as a finishing salt on everything from salads to chicken, pork, seafood, and prime rib.